Hi Sharon here and today I'd like to show you an interactive card I made. It's a penny slider card. I love the sentiment on this one "Do What They Think You Can't Do" and I'm trying to!!! So I've used two of Jolande and Marlene's kits. 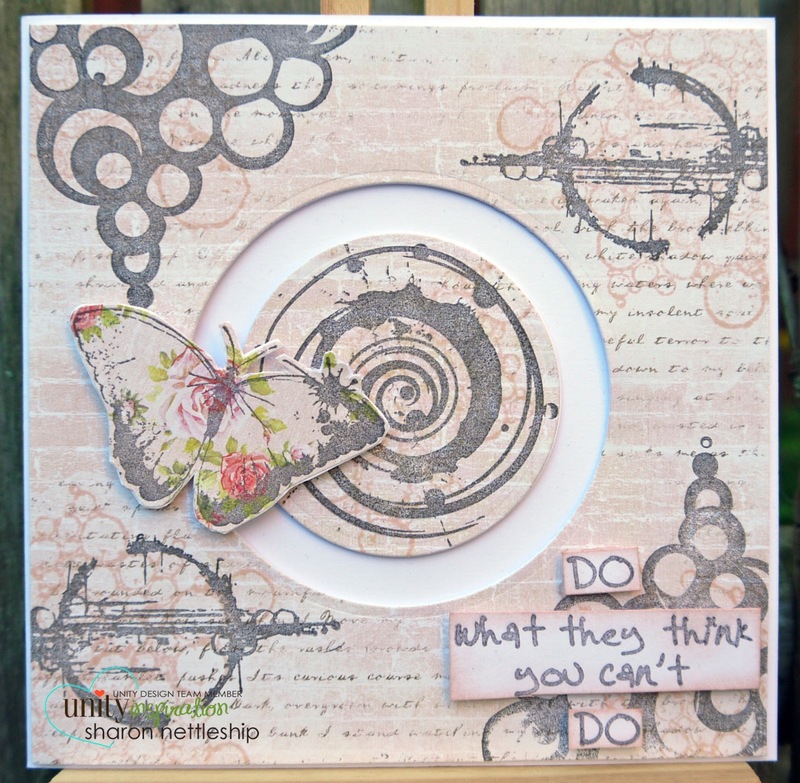 I have stamped them out onto patterned paper and the butterfly is the centre piece which travels around the circle. Also I'd like to show you some of my favourite projects I've seen on the Show & Tell FB page. This one's by Lin Metcalf I love the sentiment and the gorgeous Autumnal colours. Another one that stood out for me is this one by Julie Poppe. I love the colours and cute image. Well that's all for me for now, have a great week!! !